With fig extract. 24-hour hydration. Creates an even, golden, natural-looking tan on face and body—while providing 24-hour* hydration. Smooth, milky texture melts into the skin for even application and radiant, streak-free results. 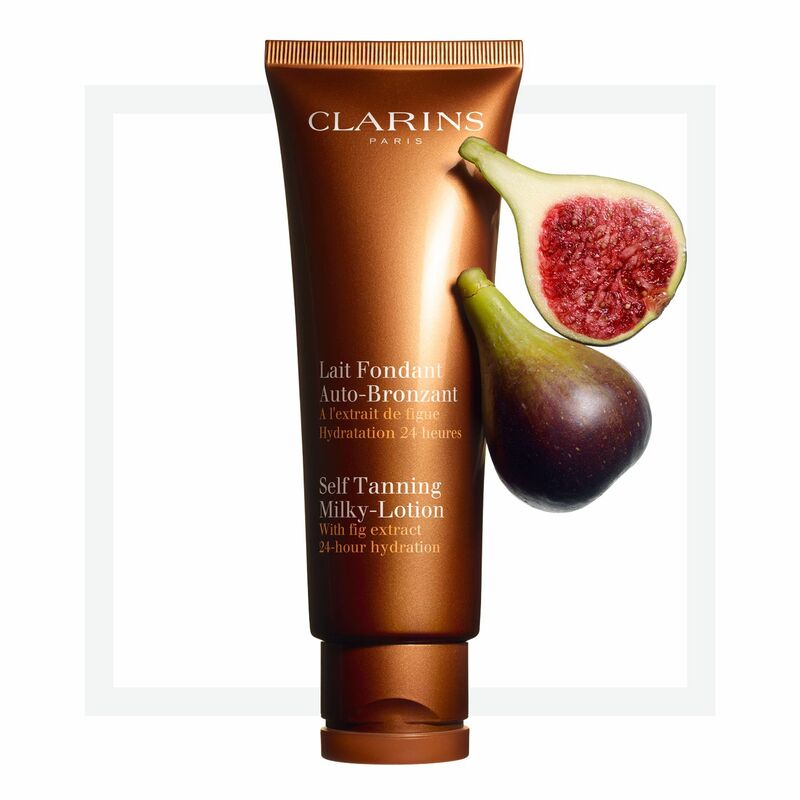 Refreshes the senses with the irresistible scent of figs. Get glowing! Rated 1 out of 5 by HildeAimeClarins from Please bring back the ORIGINAL I've been using the original self-tanning milky lotion for years and have not been disappointed. Goes on exceptionally well and stays for days with a very natural look. The original needs to be brought back. There is no reason to change a product that has been a staple with devotees. Rated 5 out of 5 by nzbraughton from Love the new tanning lotion I have been wearing Clarins self tanning lotion for years and loved it. I wasn’tvthrilled About the smell and it took quite a bit of time to dry. I was. Dry worried about the new lotion due to the reviews. However, the new stuff is great. There is a smell, but it is not unpleasant like the other one and it drives faster. It also lasts longer. So, I am very happy with the new product. Rated 1 out of 5 by Beth 95 from Please bring back the tanning milk old formula I have used Clarins tanning milk for several years. It was the best on the market. The coverage would last nearly a week or more. The self tanning milky -lotion is terrible. It is runny with very minimal coverage that does not last but only a few hours. It is not worth the price. I would not recommend it. Please bring the other formula back!!! Rated 1 out of 5 by AppleMary from Where did the best self tanner ever go? I have used Clarins self tanner faithfully for over 20 years- ever since my sister reviewed it favorably for Vogue. I' ve had countless people compliment me on my "natural tan" and have referred them to Clarins. So, I simply can't believe the product is gone...and replaced by such a literally pale substitute. Who is minding the store? 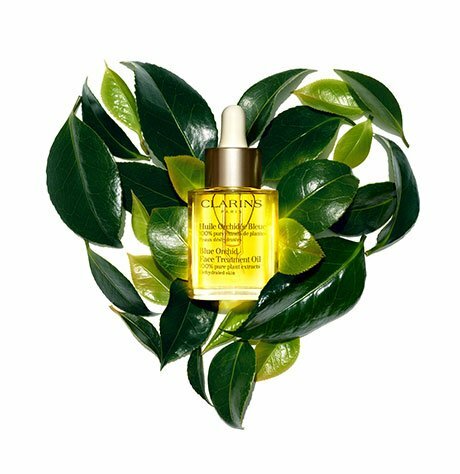 Rated 1 out of 5 by Pdallas from Terrible replacement for old formula I have used Clarins tanning milk for years and loved it. Nice tan would last for days. Hardly any color with this and spotty in 1 day. Please bring back old formula. Rated 3 out of 5 by Cairo from WHAT HAPPENED? I was so very disappointed when I bought a new milky lotion recently. Unlike all of the other times, this time the product did not live up to expectations. Whatever you did to change; please stop!!! Rated 5 out of 5 by DanielleT from Love love love I have used the gel for over 5 years and figured I would try this one out. It's absolutely amazing it's smells like heaven lightly scented doesn't smell like self tanner at all even my husband ask me what I was wearing and said it smelled so good! It's a light weight lotion that absorb super fast and didn't feel greasy at all! The best part is the color is perfect natural brown color! Rated 3 out of 5 by Rozo from Old one better. This one okay. I am like the other reviewers. I have used Clarins for years . I loved the old formula, but this one is okay. I am not able to make it last very long. Smells good. Would prefer old formula with new scent.